Photo Booth Winnipeg is here to make your party unforgettable. We understand that photos add lasting memories when our brains can’t quite remind us of what we wore or how our smile appeared during a particular moment. Make the best decision for your party and hire us. We offer cheap & affordable photo booth rentals. Our photo booths will offer you guaranteed satisfaction. You’ll be delighted to see so many people enjoying your party without you needing to speak a word. We know that we deliver results with guaranteed satisfaction, and we look forward to making you smile. Our photo booth rentals make hosting your party a lot easier. When you add a photo booth to your party, you can relax knowing that you don’t have to position your fingers awkwardly for a “selfie” or “usie” and that you don’t necessarily need an expensive professional photographer. ​All you have to do is be yourself or be some strange caricature of yourself, but you can have fun the whole time. We make sure that your pictures shine bright so that you can show them off to others after the celebration. No need to delay adding more excitement to your celebration. We know that our photo booths are winners at any event! We offer some of the best, high end photo booths on the market. From green screen technology to an instant social media upload station, our services will not disappoint. More options to choose from including a keepsake album to hold on to special memories and fun times, and also professional photography services to ensure your entire event is covered and photographed with beautifully edited shots. Whatever the reason, we have what you're looking for. Keep reading to learn more about what we provide. We offer an array of photo booth services to fit different occasions. We even offer an old fashion photobooth rental. If you would like to have specialized photos for a wedding, birthday party, corporate event, holiday event, social gathering, or other celebration, we’ll be sure to deliver what you need with optimum satisfaction. We thrive when we can meet your needs so we make sure we do what is needed to make your event one to remember. We have a variety of different background options that fit your specific occasion. Your friends will certainly brag about your party without equipment there to lend you a helping hand. When people take photos at your birthday party, we at Photo Booth Winnipeg will be sure to provide you with a way to save a great amount of photos at the birthday party. The photos will be saved online. That way, no moment from the birthday party will be missed, and your guests can check online to revisit these memories. Even though the photos will be available online, the photos taken at the booth can also be printed out on the site of the birthday party. A photo booth wedding rental can really add flair to your occasion. Some of our options for your picture booth are having custom designs for the outside of your booth, a customized scrapbook to place all of your photos, a booth display and touch screen that is unique to your wedding, a custom photo strip frame with the names of the bride and groom, the date of the wedding, and the theme of the wedding, as well as a prop box inclusive of many fun and high quality props. Contact us to learn more about our wedding photo booth! Some of the holidays that people book photo booths for are Halloween, New Year’s Eve, and Christmas. With our stellar booth set up, you and your guests can enjoy unlimited photos and prints so that they can take photos of the holiday party home with them. We also provide an online platform so that your guests can enjoy the photos of the party way after the party is over. When looking into booking a photo booth for your holiday event, be sure to book us. The photo booths that we offer will be sure to make a huge impact at your corporate event. We incorporate social media for photos so that people know how great the event your corporation has organized is, we offer branded take home items for guests, and can provide you with exposure so that potential clients can see what has been going on within your organization. Our photo booth company is the best bet if you want to have a great photos taken for any celebration that you may have. With our high quality cameras and touch screens, we make sure that the photos taken in one of our booths can be uploaded and printed in a matter of seconds. We also make the celebration more memorable with our wide array of props and other fun items. Our team of pro photographers are incredibly excited to provide our clients with great experiences for different kinds of social events. We provide entertainment through our high quality equipment and customer service. Our photo booths are the best in the industry, and the guest of your celebration can enjoy high quality photos within seconds of taking them. 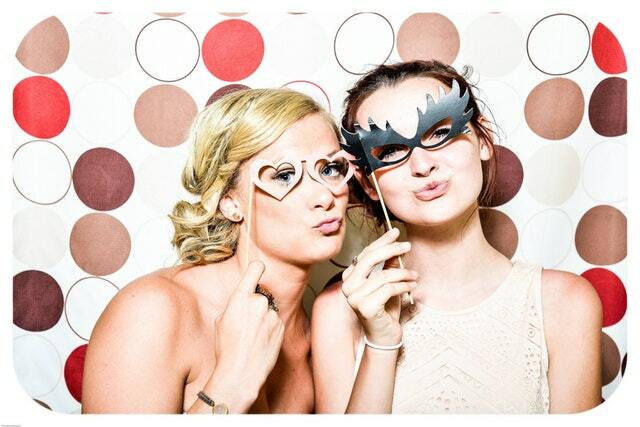 We bring more liveliness to your party through our large range of photo booth prop ideas to add to your occasion. What are you waiting for? Contact us today. Our photobooth rental costs are favorable. We know that you will have made the best decision for your party by hiring us. After all, sometimes the host needs to sit back and relax and allow the party to lead itself—a photo booth does just that! Take the party off of your hands and give that responsibility to us. We’ll surely capture your event in the best way possible to please you and your guests. We offer the best photo booth rental Winnipeg can ask for. Our service is guaranteed to cause laughter, joy and a whole lot of fun. Please feel free to call us or fill out the form above to inquire about our prices & packages. Take a look at a few of our reviews below to get a better idea of what other people think about us. “Oh my God! This company is the best! I had a birthday party recently and so many people were crowding around the photo booth. I was stressed about our late DJ, but no one cared. Everyone wanted to take a funny picture.”—Megan N.
“I love this place. They are not expensive at all, and it is really true. We live in the age of vanity. Everyone wants a picture of themselves and their friends. Honestly, all I needed was that photo booth, some drinks, and music. The party made itself.”—Doug G.